$16 advance; $20 day of show. The Green Sisters are excited to return to the Bull Run after a sold out show in the Ballroom this summer. 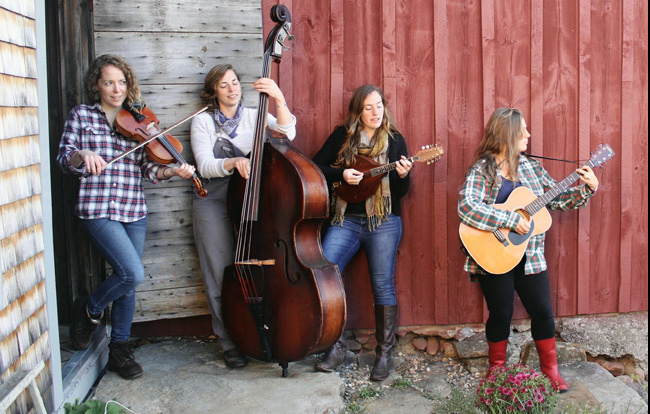 Sprouting from a small farm in rural Massachusetts, the Green Sisters have had a deep love of music from birth. Theyve been playing venues in Massachusetts and New Hampshire regularly for three years and have garnered quite the following. Its hard to not to smile when treated with their tight harmonies and high energy tunes; they bounce their jovial banter around the stage as only siblings can! With their debut album, "Endless Blue," out this year, theyve catapulted into a busy fall season. Come help them celebrate this collection full of eclectic originals; you'll be dancing to fiddle licks and tapping your foot to sisterly harmony from one track to the next. Their joy is infectious, as is their variety and creativity. They revel in each others company, and jump easily from bluegrass to barbershop, from blues to country, and originals of all styles. We know youll enjoy the show!